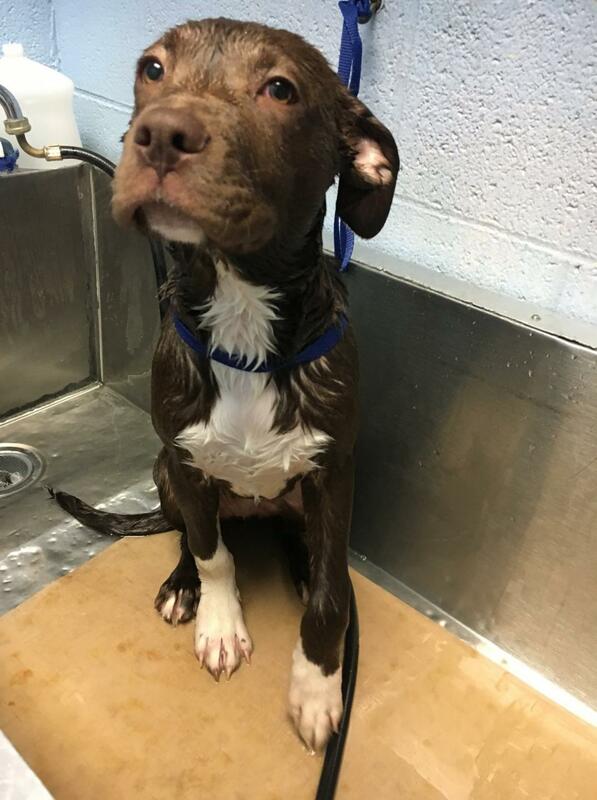 Ike is a 5 month old (as of 2/22/19) Pit Bull puppy. Ike loves to explore and play. He has also been doing great with his training! He knows “sit”, “down” (when there’s food involved), and “kennel”. He’s starting to learn “come” and that his name is Ike. We are working with fetch but he doesn’t quite get it yet. He's also made great progress on not jumping up. He loves all the people and dogs he’s met, but can still play too rough with the cats. He will sit to go outside and back inside, he will also sit when he knows you want him to do something or when he wants something. 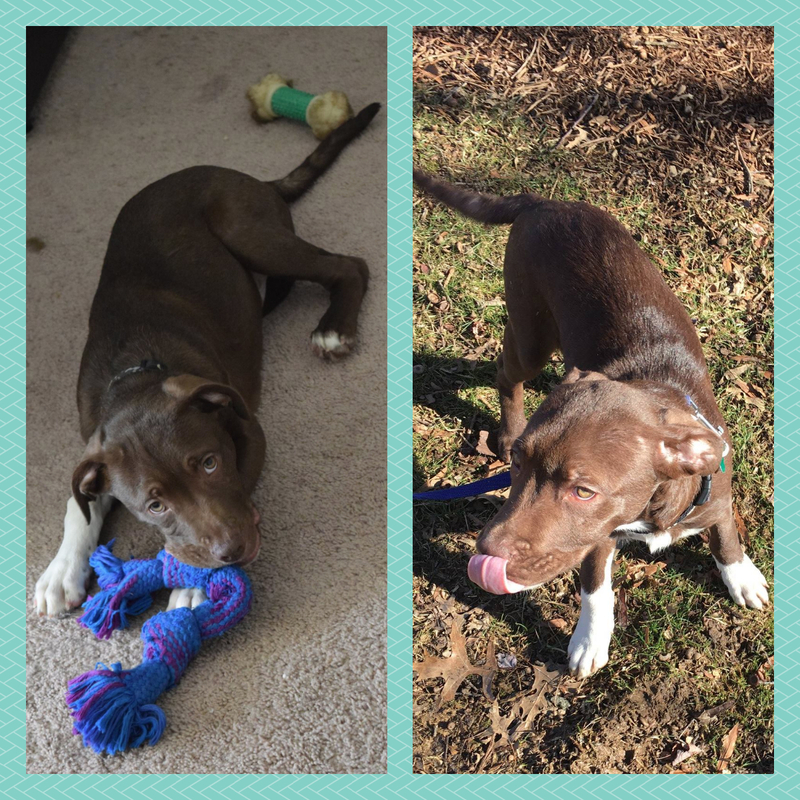 Overall he’s a super sweet goofy puppy! He’s crate trained but will still have accidents in his crate occasionally overnight. He's also great for baths and nail trims! Ike has not been around kids yet, but his foster thinks he would do great with them since he just wants to be in your lap and isn't mouthy! 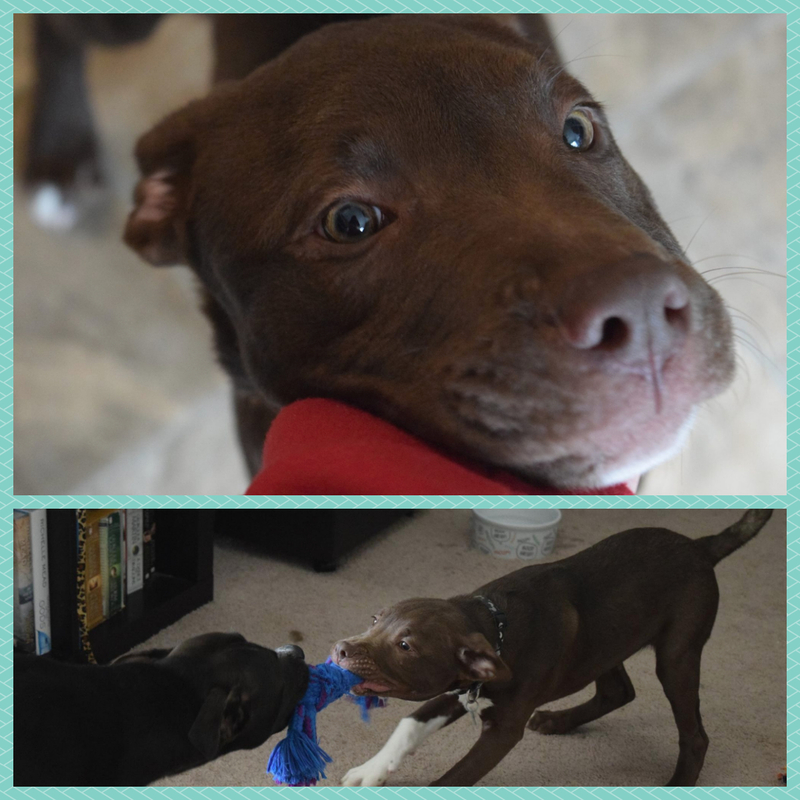 Ike has the cutest sweetest face and just wants all the love!